General Kale Kayihura started the day on Sunday, March 4, a man very much in charge as Inspector General of Police (IGP), a sensitive position he had held for more than 12 years. By the time the day ended, however, he had been dropped and his deputy of six years, Okoth Ochola, had been elevated to the top. In other changes President Yoweri Museveni rang on the same day, General Elly Tumwine was appointed to cabinet for the first time, coming in as Security Minister. Tumwine, who in February 1981 fired the first bullet that started the war that brought President Museveni to power in 1986, replaces Lt. General Henry Tumukunde who, like Kayihura, was dropped. Brigadier Sabiiti Muzeei, who until Sunday was Military Police Commandant, will be Ochola’s deputy. In November 2005, President Museveni made changes in his security forces, promoting Kayihura to the rank of Major General and appointing him IGP. Kayihura replaced then Major-General Edward Katumba Wamala who was promoted to Lieutenant-General and appointed to command the Land Forces in the expanded military structure that saw the position of Army Commander changed to Chief of Defence Forces (CDF). Katumba had joined the police in April 2001 in what President Museveni said was a move to reform and professionalise the police force after a damning scorecard by the 1999 Julia Sebutinde Commission of Inquiry. Katumba would go on to become CDF, replacing General Aronda Nyakairima in May 2013. By this time Kayihura was already in his third term as IGP. He would get promoted to Lieutenant-General, then General and win another three-year term by the end of 2016. At the time Kayihura joined the Police force, it was grappling with limited manpower, high criminal rates and poor funding. His predecessor had just set up Operation Wembley, led by then Colonel Ely Kayanja, to deal with violent crime. Kayihura set out to professionalize the police force, source for additional funding and equip the force. He inherited a force of 14,000 men and women who were meant to police 28 million people, which meant a single police officer policing 2,000 people. Of these only 1,700 were degree holders. Over the next 13 years, Kayihura has been able to recruit about 29,000 police officers. At least 5,000 of these have undergone cadet training. To address the manpower gap, Kayihura created other Police training Schools to supplement Kibuli and Kabalye schools. They include Olilim and Ikafe training schools in Eastern and Northern Uganda respectively. He also established a Senior Staff and Command College in Bwebajja, which is recognized internationally. At least 3,000 police officers have undergone intermediate and Senior Command training at the college in the past two years. After recruiting additional manpower, Kayihura decided to create specialised units and to expand the force by creating Directorates. This saw the number of directorates expand from four including Operations, Criminal Investigations, Human Resource and None human Resource to 25. Each directorate was placed under the command of an officer at the rank of Assistant Inspector General of Police and individuals with the requisite academic qualifications as well police training. With the permission of the President, Kayihura also recruited civilians in some of the departments that required specialised skills like Medical Services, Finance and ICT and gave them temporary police ranks. 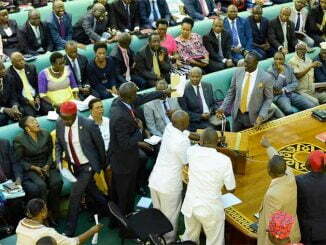 Kayihura took advantage of his proximity to the president to lobby for additional funding for the Police force. Kayihura also rallied members of parliament, Finance Ministry officials and cabinet to support his request for a budget increase. His lobbying paid off as the police force got a budget rise nine times over the past 12 years. Despite the budget increment, Kayihura reportedly complained about low funding. He particularly complained about lack of funding for police welfare as well as equipment. As he waited for government to give him the money, Kayihura used the connections he made during his tenure as the President’s Military Assistant to mobilise assistance from different countries. 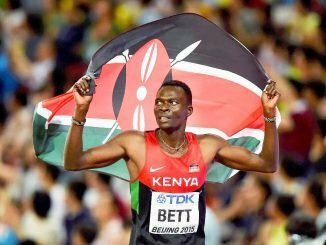 Whether his lobbying skills paid off or not is not clear, as he leaves behind a force with a huge debt of up to 125.9 billion Shillings. He was able to establish links in South Korea, China, Iran, Algeria, Egypt and Italy among others picking whatever he could. From some, he got training opportunities for his officers both inside and outside Uganda; in others he got motorised equipment like motorcycles, cars and helicopters. He also partnered with countries like China and Iran to open up a tailoring factory and hospital for the police. With support from these countries and government support mainly during the election period, police was able to accumulate a fleet of more than 4,000 motor vehicles, 3,000 functioning motorcycles and three helicopters, with two more on the way. However, due to the increase in the number of police officers and absence of a commensurate increase in the budget, corruption became rampant in the police force. Only those with money would be listened to and their cases handled. Extortion and mismanagement of case files became the order of the day, prompting Kayihura to establish the Professional Standards Unit (PSU) to handle the errant officers. Kayihura made PSU autonomous and placed it under a Senior Commissioner of Police reporting directly to the Inspector General of Police. He also embarked on a community policing model after trying out the Egyptian policing model, which emphasized visibility with limited success. Kayihura began campaigning for the community policing model where every citizen was responsible for the security around them and their neighbours. With the community policing model Kayihura introduced Crime preventers where they would pick volunteers from the public and train them to help the force to police their communities. A brilliant policing idea, it didn’t yield the required results because of poor implementation. Instead of complimenting police work, some of the crime preventers actively took on police work to win favours from the IGP. Some of the crime preventers also got involved in criminal activities. In the long run, the idea of crime preventers became unsustainable as many of them came expecting to earn big. Groups such as Kiboko Squad, a paramilitary group using sticks to disperse opposition demonstrations are offshoots of crime preventers. A part from giving them contracts to supply food, there wasn’t much police could offer them. Kayihura will also be remembered for favouritism in promotions, in some instances an officer jumping two or three ranks. Of the more than 12,000 officers at the rank of Assistant Superintendent of Police and above, about 4,000 are without deployment, under-deployed or deployed in positions where they are doing nothing. To accommodate the number of senior officers, Kayihura created irrelevant positions, sometimes even duplicating departments like the Flying Squad and the Special Investigations Division of the CID. A micro manager, he had the last say in everything, sometimes going behind the commanders and directors to deal directly with their juniors. He would camp in the areas of crime for months if need be until calm had been restored. For example he camped in Busoga, Lira and Masaka at the height of attacks on residents. His biggest mode of operation was reassuring the public, which at times was his weakness. When a crime had been committed, he would swing into action, arresting anybody and everybody until the public felt like all was well. A senior police officer told Uganda Radio Network on condition of anonymity that Kayihura will be remembered most for rewarding those loyal to him in Police and victimising those he felt were against him. 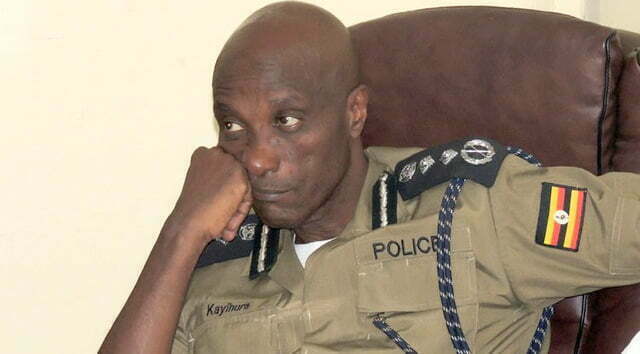 Kayihura’s time in police would be incomplete without mentioning his role in suppressing the opposition. He was key in stopping Walk to Work protests, which almost brought government to its knees shortly after the 2011 presidential elections. Kayihura always came out in full force whenever it came to President Yoweri Museveni. He was willing to break all the rules for President Museveni and the National Resistance Movement party. For example in the 2016 elections, Kayihura was key in breaking the network of NRM poor youths established by the former Prime Minister Amama Mbabazi to bolster his presidential bid prompting the latter’s wife to baptise him “Afande teargas“. He may have taken many well-meaning decisions in his 12 years as head of the police force, but teargas may, for many years, be what many will remember about General Edward Kale Kayihura.